With Thy Needle & Thread Summer Schoolhouse Series - 28 ct. Mushroom Lugana using the called for cotton threads (1 over 1). 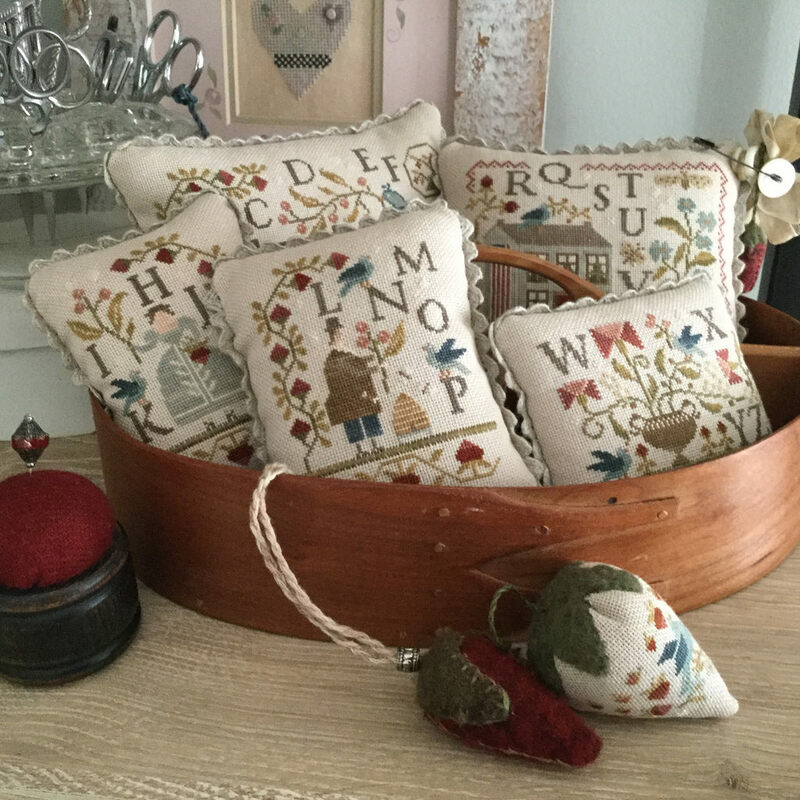 Beautiful finishing was completed by Faye Riggsbee - Carolina Stitcher. With Thy Needle & Thread Jingle Bells - 40 ct. Vintage Pecan Butter by Lakeside Linens using the called for cotton threads (1 over 2). With Thy Needle & Thread Jingle Bells, In Santa Claus Lane and Christmas at Winterberry Farm from FiddlestixDesign Etsy Shop. Thanks again Nicole. Hope you have a Happy Thanksgiving!! Love all your work, but especially the schoolhouse series. After seeing your beautiful work, I ordered all the supplies. Thank you Ellen! 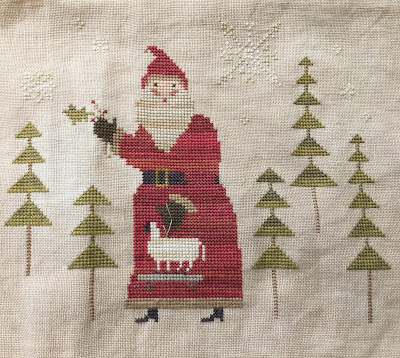 I had so much fun stitching these, I hope you do too! Nicole, those designs are just gorgeous nestled together in your Shaker carrier. Happy Thanksgiving. Thank you Judy! Happy Thanksgiving to you too! I will watch your Flosstube video soon, but still have not set up the tv for commenting. Great stitching AND finishes! Hope Thanksgiving was wonderful! Hugs!